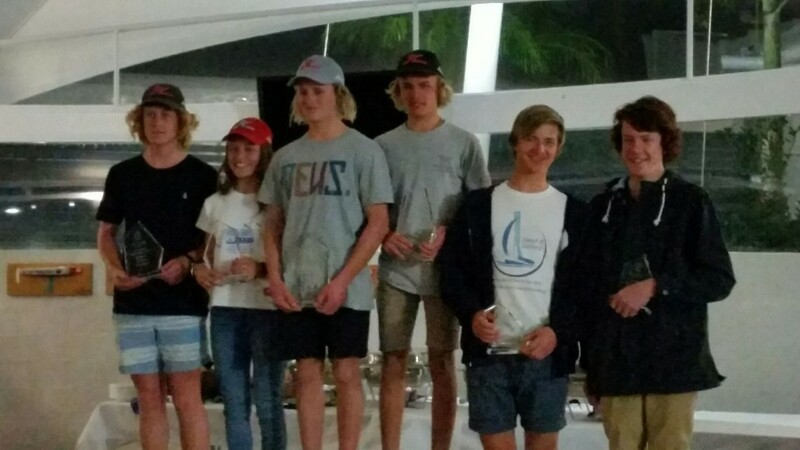 After a challenging light weather series, with only 2 races strong enough to get the teams out on the wire, the QLD mid winter youth champions have been crowned. 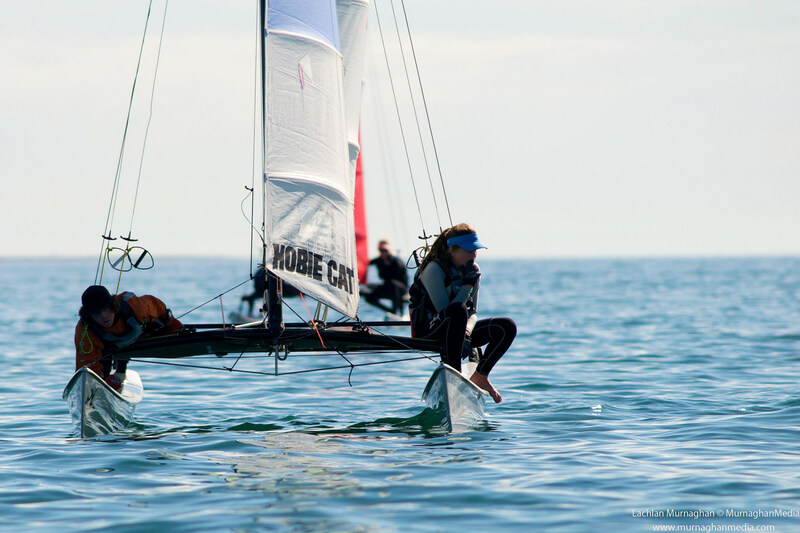 Will McKenzie and Patrick Butler dominated the 7 boat Hobie 16 fleet and won the regatta with a 15 point margin over Vincentia club mates Kyle Fortier and Bonnie Butler. 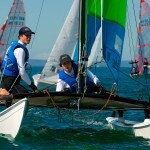 Rounding out the podium just one point behind are Lachie and Ethan White from Great Lakes Sailing Club. 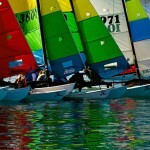 While the breeze was predominately light, the racing was fair. 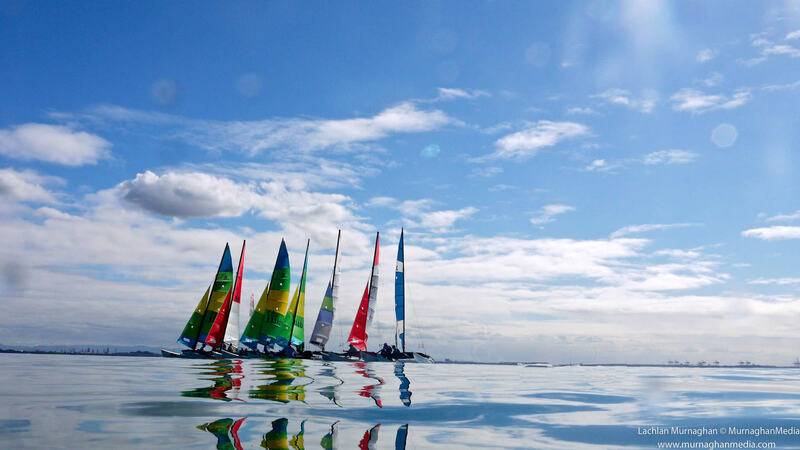 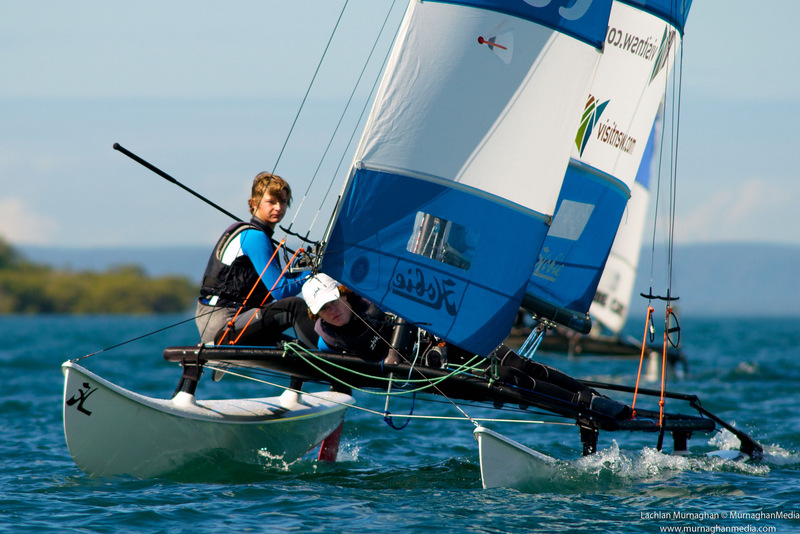 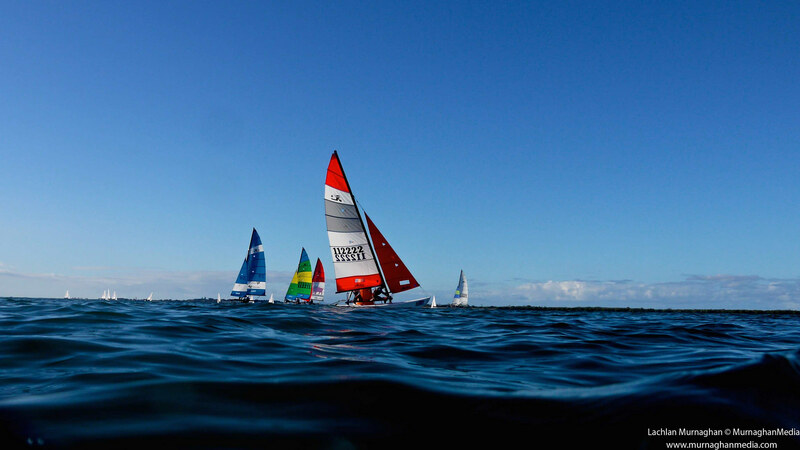 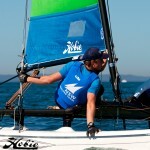 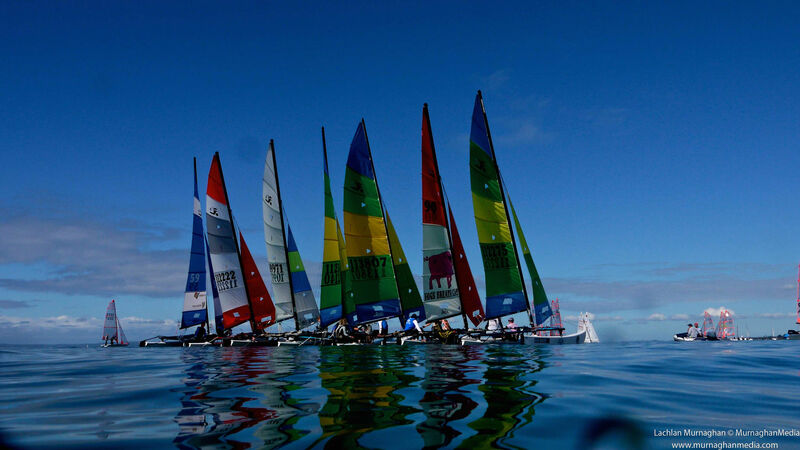 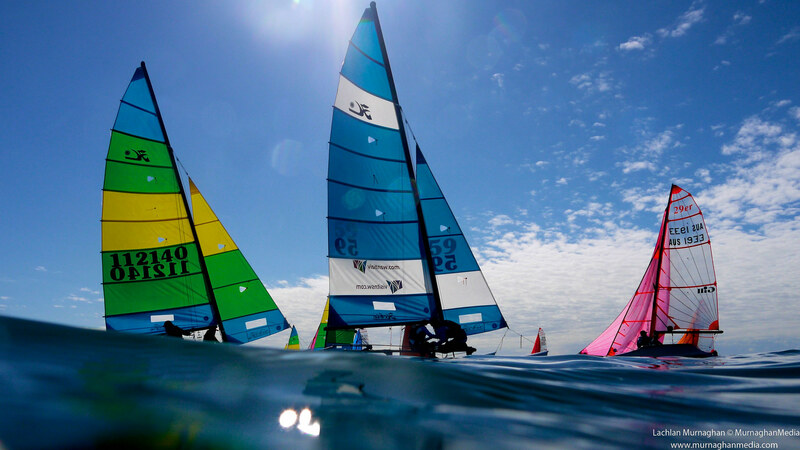 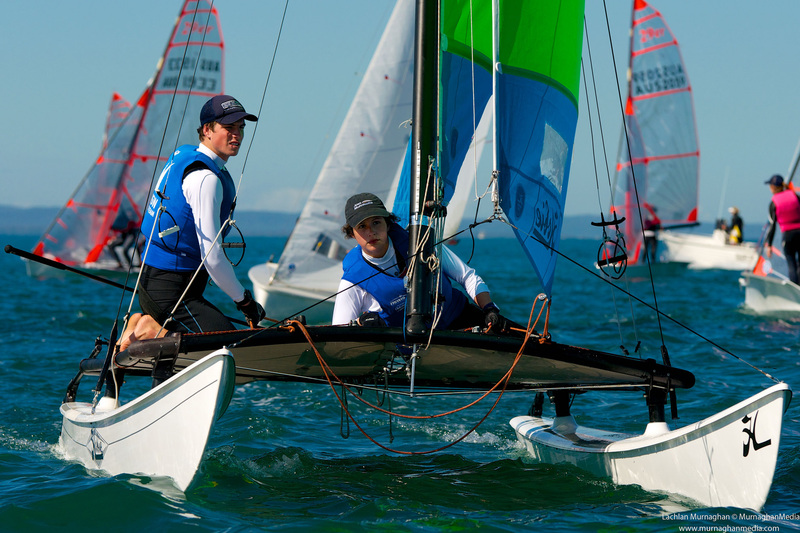 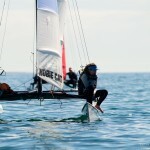 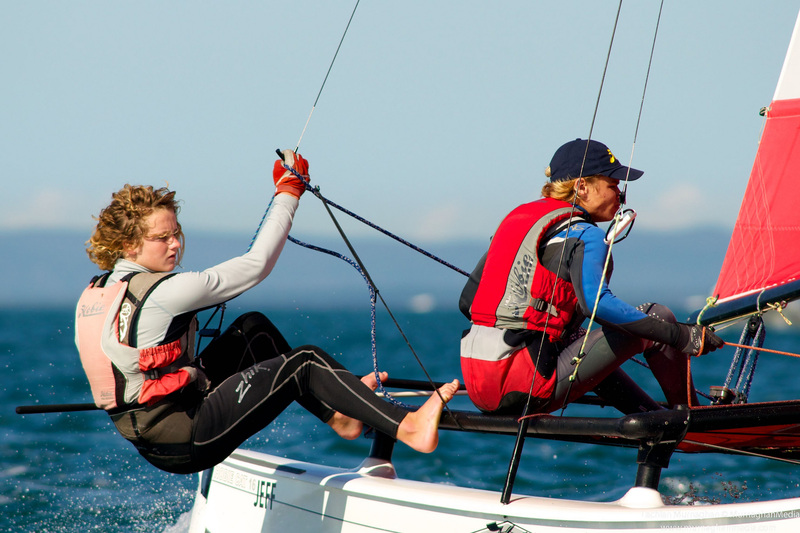 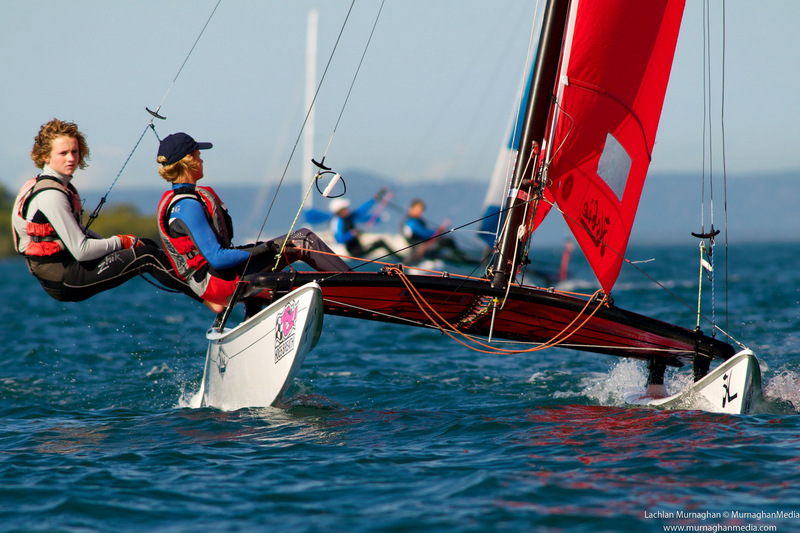 This regatta was the final in the selection series for the catamaran class in the ISAF Youth Worlds (in addition to the Hobie Cat Nationals and the Australian Youth Championships), and 4th place this weekend was enough for Shaun Connor and Sophie Renouf to claim the one place available – Congratulations Shaun and Sophie!! 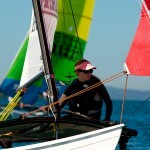 It was a bittersweet event for the Butler family, with Patrick and Bonnie’s Nanny passing away on Friday, just 2 weeks after losing their Grandfather. 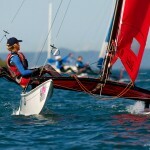 She will be very proud looking down on them and their fantastic performances on the water. 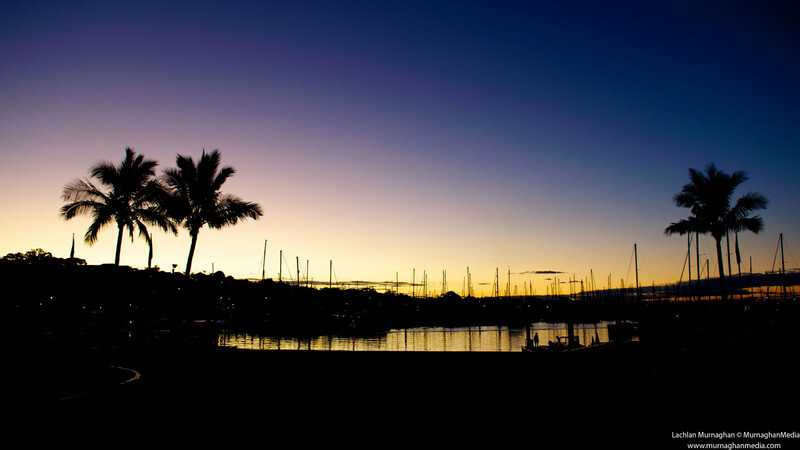 We pass on our condolences to the Butler family at such a difficult time. 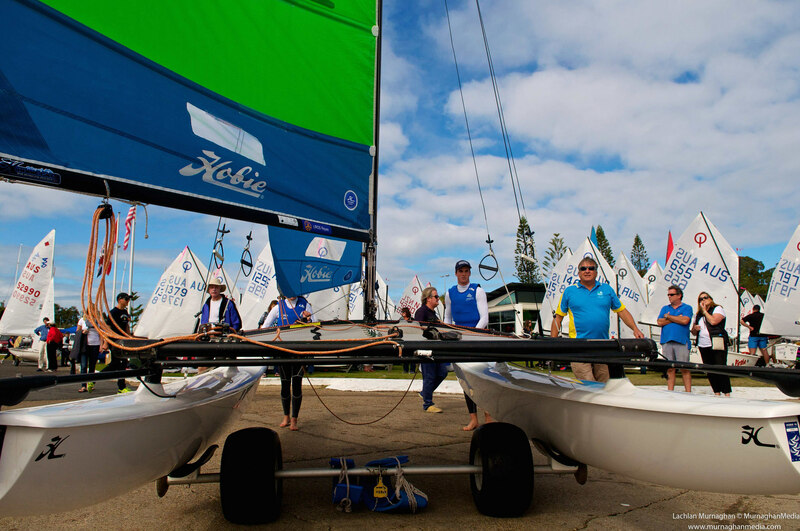 While the kids were doing there thing, the support crews (Hobie Dads) were busy having some fun too – wake boarding, tube rides and sailing on Dave Renouf’s Tri. 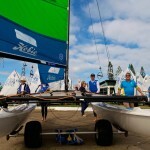 A big thanks to Tom from Sirocco Marine for his support in providing a small RIB for the Hobie Dads to get them on the water. 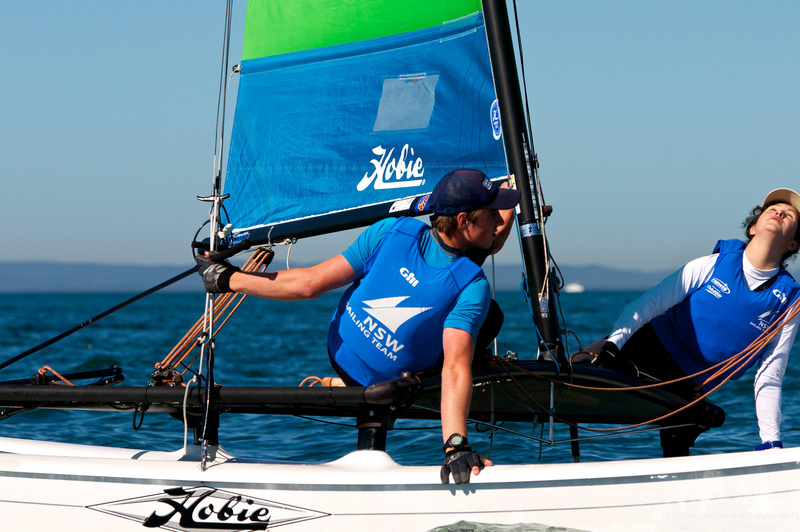 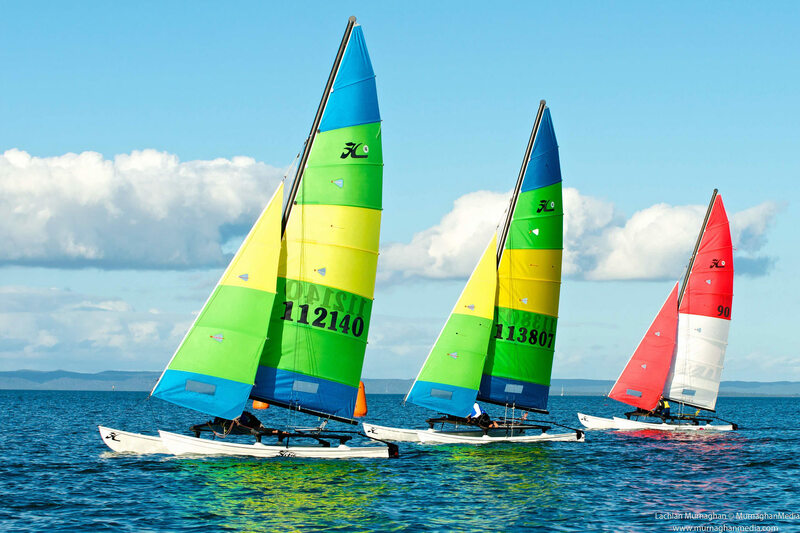 Tom is a regular supporter of Hobie sailing, many of you would recognise him as the crazy dude in the LOUD RIB at the Hobie 16 Worlds at Jervis Bay. 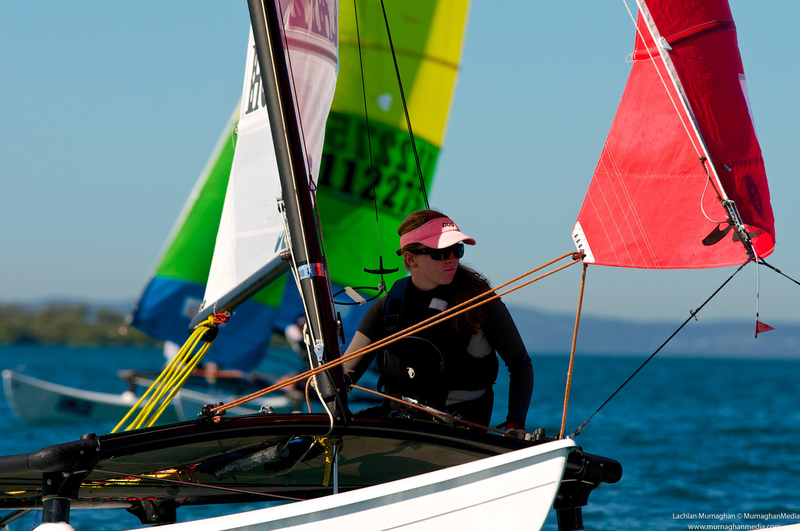 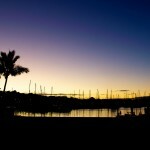 QLD Youth week is growing each year, and this year saw over 350 kids on the water across multiple classes. 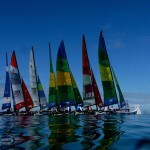 RQYS did a great job managing these fleets on 3 separate course areas. 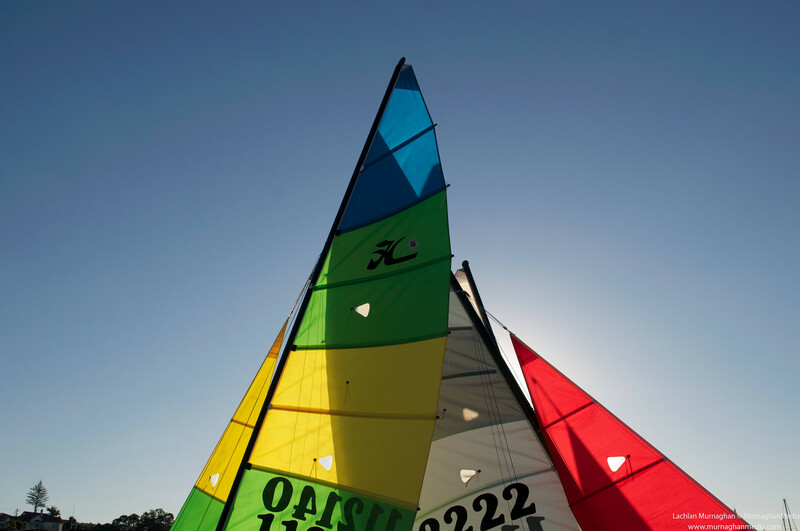 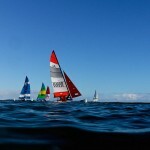 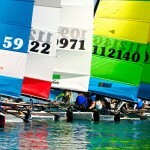 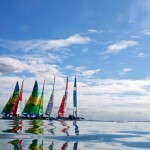 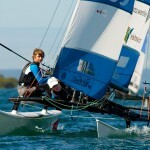 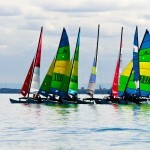 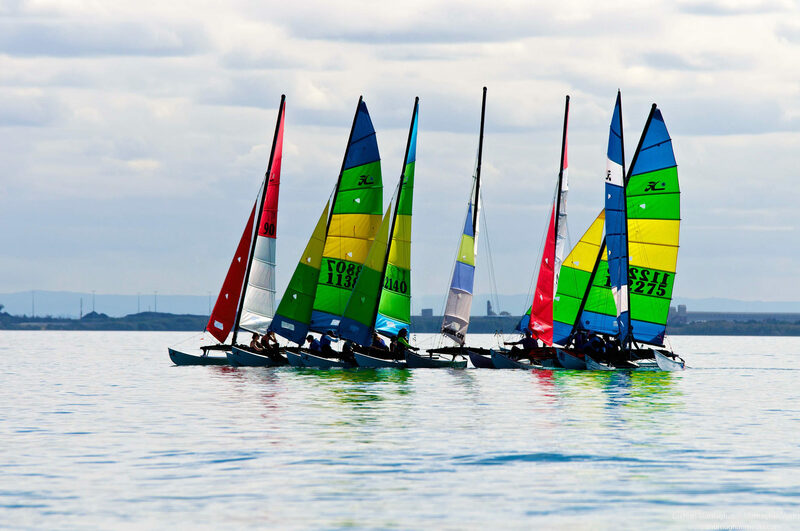 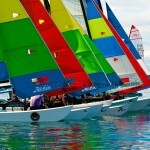 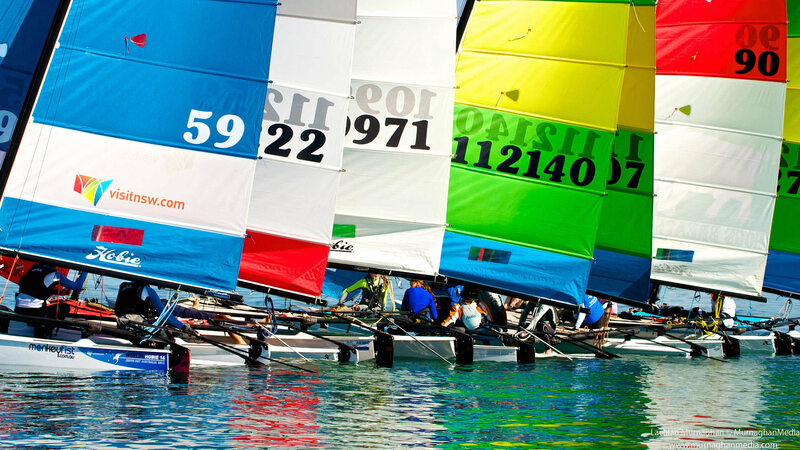 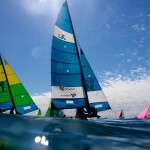 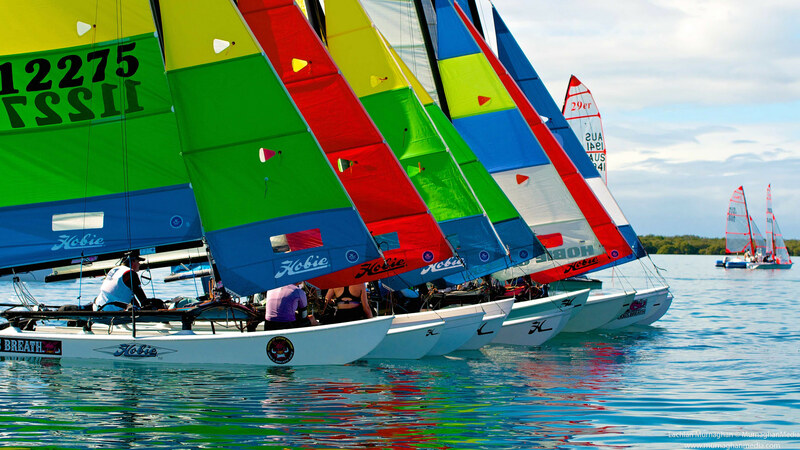 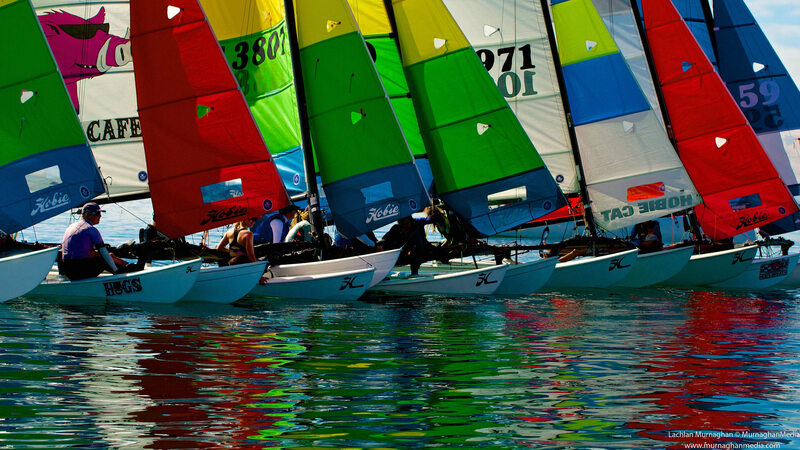 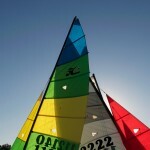 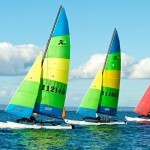 The Hobie sailors enjoyed great camaraderie, and there is already talk of a bigger Hobie fleet next year.